After login, click on your name at the top right of the screen. Scroll down and click Account Settings. 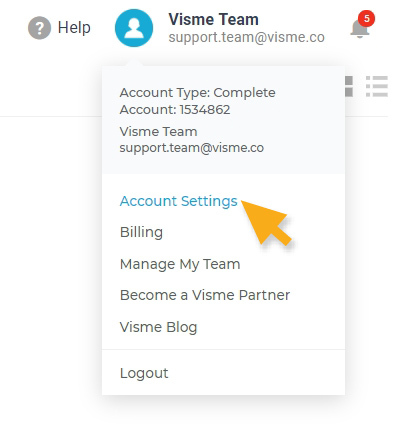 Under the Visme Account Details, click on Payment History. You can filter by date to locate all transactions during that period. You can also view and download receipts associated with each transaction via the View/Download link.